Fog-like at 100 PSI, will drift in slight wind. 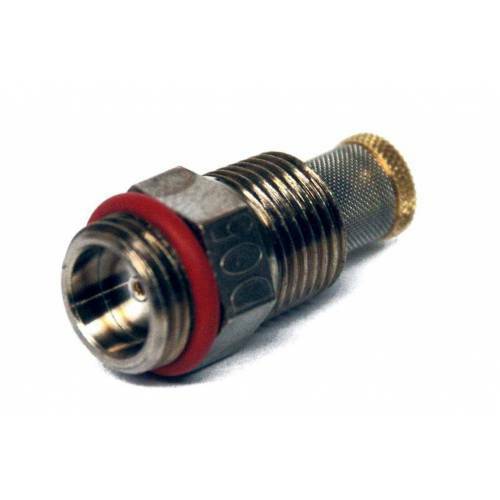 These nozzles break up water into smallest droplets possible at relatively low pressures. A cone 2' to 4' high with an 80o spray angle is developed. Nozzles are 1/8" male pipe thread, with an easily removable screw-in strainer. See Booster Pumps if you need to increase your water pressure to achieve maximum benefit. 1/2" copper pipe should be used for pressures above 150 PSI.